‘Journal of Insects as Food and Feed’ is an online journal issued four times a year started in 2015 by Wageningen Academic Publishers. The editor-in-chief: Arnold van Huis!! The ‘Journal of Insects as Food and Feed’ covers #edibleinsects from harvesting in the wild through to industrial scale production. The role of technology transfer to assist people to utilise traditional knowledge to improve the value of insect foods in their lives. The potential of insects to transform low value organic wastes into high protein products. And of course marketing issues, consumer acceptance, regulation and legislation pose new research challenges. This is a must watch! An incredible set of 7 videos that shows from A to Z a Black Soldier Fly Production with Karl Warkomski, Director of Conservation and ProtaCulture, LLC . Compiled by Living Web Farms in early 2015. This Swiss channel is hosted by Daniel Ambuehl. He publishes information and educational on the topic of research , discussion and politics concerning edible insects worldwide. 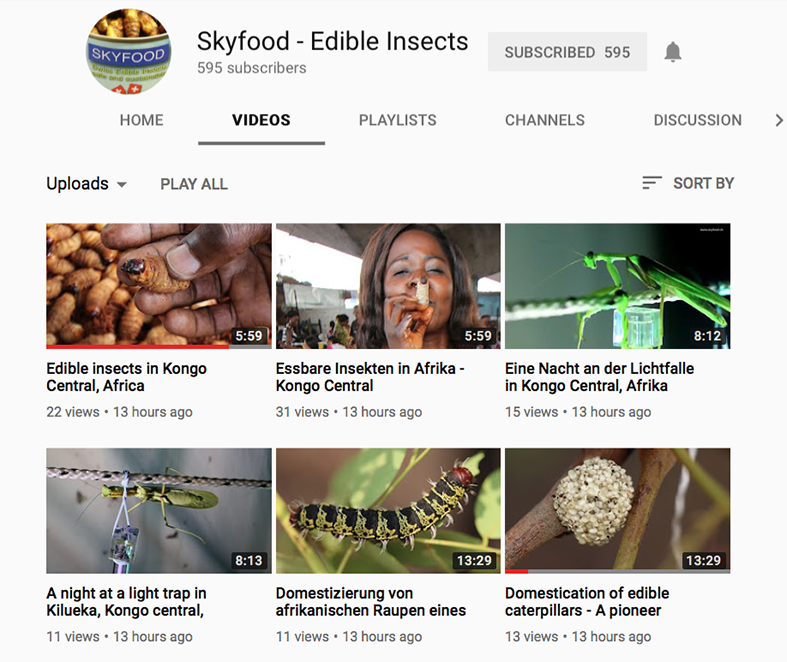 You also find many playlists with rearing and breeding instructions in the form of video logbooks for different edible insects.